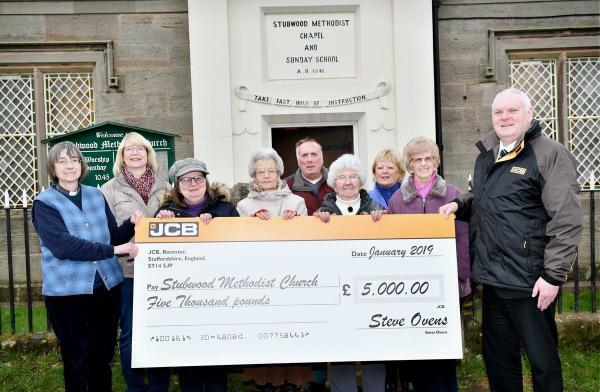 Stubwood Church receive generous donation! embodied in the power of the Risen Christ, to all who wish to avail themselves of Jesus Christ’s redeeming Love. Methodist preaching focuses on the eternal salvation to be found in believing that Jesus is the Son of God, as revealed in faith through his death and Resurrection. Following John Wesley, the Christian message from the Circuit is that all people can find eternal life through faith in Jesus Christ. We are seeking to be a visionary circuit glorifying God, sharing the mission and ministry of Jesus. 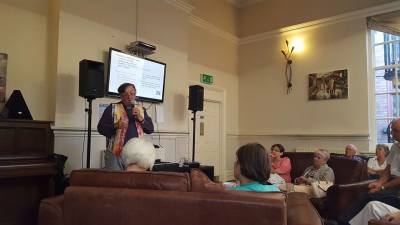 This circuit is called into being by the grace of God, led by Jesus Christ and is given the gifts for its work by and through the renewing power of the Holy Spirit to facilitate mission through worship, witness and service of the congregations and circuit along with ecumenical co-operation and community engagement encouraging shared ministry with all parts of the Christian family.